Please read FAQ for online appointments before following the above link to book an appointment. Appointments made with inappropriate clinicians will not be seen and will have to be re-booked. We run all our surgeries by an appointment only system. Appointments can be booked by telephoning the surgery or in person at reception. We try to make sure you see the doctor of your choice but if they are not available we may ask you to see another doctor. This basic information is not meant to be intrusive but will enable the staff to provide you with the appropriate method of dealing with your enquiry. Patients contacting the surgery in need of same day treatment may be triaged by the duty doctor. Please note routine appointments are 10 minutes each. If you have more than one problem to discuss with the GP please explain this when you make the appointment and ask for a double appointment slot. From 6th November 2017 we are able to offer appointments from 6.30pm to 8pm Monday to Friday at (Station Road Surgery, Sowerby Bridge, HX6 3Ab). Please speak to one of our Receptionists for more details. Please note these appointments are not available online at the current time. If you have booked one of these appointments and no longer need it, please contact us during our opening hours to cancel it or alternatively call 01422 893394 from 6.30pm to 8pm Monday to Friday only. On arrival please let reception know if you require a chaperone to accompany you to your consultation with a clinician. Occasionally your GP may also request a chaperone to attend your consultation. If you wish to speak to a GP you can book a telephone appointment. The GPs will usually contact you between morning and afternoon surgery. If you are unable to get a suitable appointment with a GP the staff will take details from you and on your behalf, will ask the GP to provide a response to your enquiry. The member of staff will then relay this information back to you. If you make a telephone appointment please ensure you will be available between 11:30 and 15:30 when the GP calls you and that we have a correct telephone number. Please note telephone calls may be recorded for quality purposes. A text messaging service. This service is essentially used to remind patients of appointments they have booked (But must not wholly rely on) but it may also be used to communicate other information (e g. dates of flu clinics; reminder that their annual review is due). It is assumed that patients who have given their mobile number to the practice are happy to be contacted on this number and will automatically be registered to receive information by text messaging. Any patients who do not wish to be sent text messages must contact the surgery to ‘opt out’ of this service. It is crucial that patients participating in the text messaging service ensure that the practice is informed of any changes to the mobile they wish to be contacted on. If you arrive late but have not missed your allotted slot as your GPs surgery is also behind time you may still be seen. However, if you are more than 15 minutes late or you have missed your allotted slot, you will be asked to rebook your appointment. Patients who are persistently late will be contacted by the practice manager to discuss the situation. If you cannot attend an appointment for any reason, you must inform the practice as soon as possible in order for us to give the slot to someone else. What appointments are not appropriate for a GP/ Nurse Practitioner? If you have any of the above, please contact the surgery to book an appointment with the Nurse or Health Care Assistant. When is it appropriate to see the Nurse Practitioner? The Nurse Practitioner runs a minor ailment clinic every morning. This is a deal with acute minor illnesses. To allow this minor ailment clinic to run effectively only ONE acute problem can be dealt with during this appointment. Why can't I book with the Nurse / Health Care Assistant? Nurse/Health Care Assistant appointment duration varies depending on the conditions/treatment. These can vary from 10-40 minutes. Therefore we require you to call the surgery to book the appropriate appointment with one of our receptionists. I have more than one problem, can I book online? In order to provide you with the best care, we require all patients with more than one problem to book a double appointment by ringing the surgery. Please note if you book an appointment online, only one problem will be dealt with. Why can't I see the Doctor of my choice? Please see 'opening times' tab that shows which days each GP works. Please note that the GP may be on call and therefore not available for routine appointments. How do I book a routine appointment? Appointments become available on a daily basis. These are staggered over a four week period to allow appointments that are needed over the next few days to weeks. If you require a routine appointment and this is not available when you check online/ring the surgery, please try again as these may become available later. I cannot attend my appointment, how can I cancel it? It is really important that you cancel your appointment as soon as you can; it is never too late as these appointments can be used for other patients. You can call the surgery or cancel online. Repeated failure to notify us may result in you being asked to leave the practice. (Please see Appointments- missed appointments). Why am I asked what the problem is when booking an appointment? For you to be given the appropriate appointment it is important to ask the nature of the problem. This is to avoid you being booked with the wrong type of clinician and wasting your time. Please note all our staff are trained and work to NHS confidentiality protocols. Our Nurse Practioner runs a minor ailment clinic in the morning. If you have a single, acute minor illness it would be appropriate for you to book an appointment online or by telephone. There are appointments available on a daily basis and can be booked for the following day. Please be aware you can see the Pharmacist for minor ailments as part of the minor ailment service. If after consultation with the Pharmacist you require any medicines these will be provided free if you do not pay for your prescriptions. Please collect an Access card from surgery. Please see 'Choose Well section' for a list of conditions which are suitable for the Minor Ailment Clinic. Hangover Take care of yourself . For minor ailments (see below) medicine you need to treat them . examinations and much more . Worsening Health Condition But you need medical help fast . Unwell 24 hours a day. You think you need to go to A&E or another NHS urgent care service. You don't know who to call for medical help or don’t have a GP to call. Overdose Or life-threatening situations . · The person has stopped breathing or their heart has stopped. · The person is experiencing severe chest pain or is having trouble breathing. · There is severe bleeding from any part of the body. · The person is, or has been unconscious. · There has been a serious head injury. · The person has a severe burn/scald. · The person has a severe allergic reaction. · The person has a numbness or weakness down one side/ or has problems understanding what you are saying. · There is suspected broken bone or dislocation. 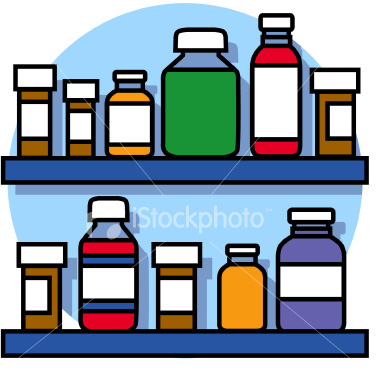 · The person is experiencing severe stomach ache that cannot be treated by over-the-counter remedies. · The person has overdosed or poisoned themselves. If you have been a member of the armed forces for more than one day please tell you're GP; you may be entitiled to priorIty NHS treatment! If you are a carer who looks after someone who is ill, frail, disabled or mentally ill ask for a carers identification and referral form, which you can complete to let us know about your caring responsibilities.